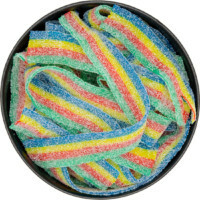 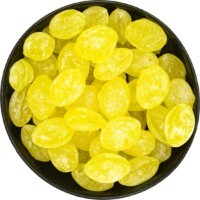 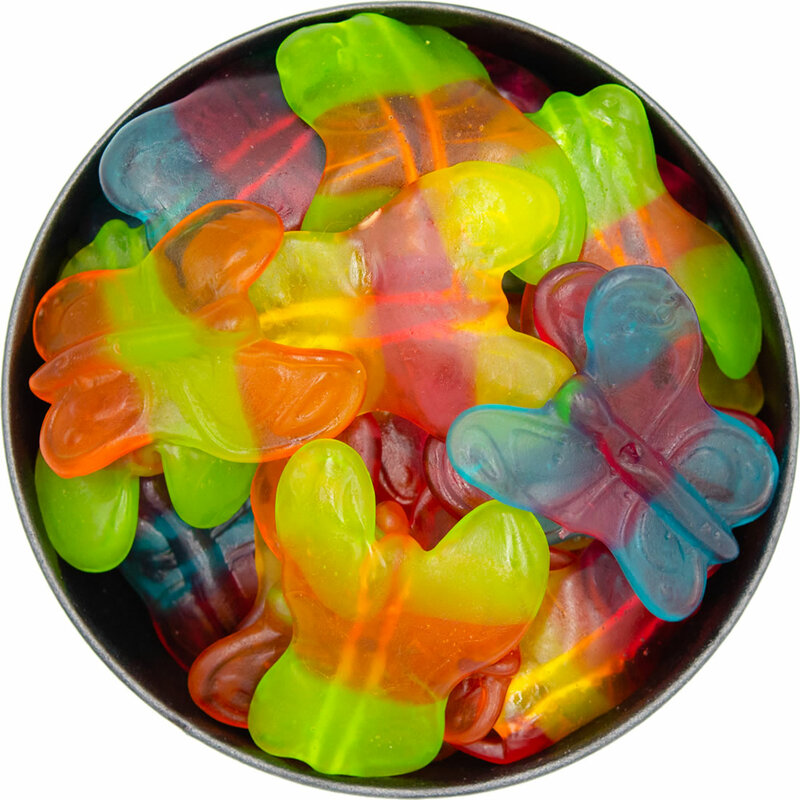 Combining your favourite fruity flavours in an assortment of delicious gummy butterflies. 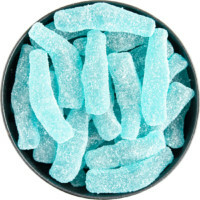 Each beautiful shape offers a super smooth chewy texture and a duo of complementary flavours that make a delicious treat. 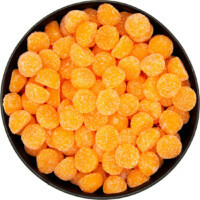 Corn Syrup, Sugar, Gelatin, Water, Dextrose, Citric Acid, Lactic Acid, Sodium Lactate, Artificial Flavours, Carrot and Blackcurrant Juices For Colour, Glazing Agent: Carnauba Wax, Palm Oil, Colours: Tumeric, Carmine, FD& C Blue No 1, Paprika, Oleoresin.